NYFW Kicks Off Today and I’m Already in Love! 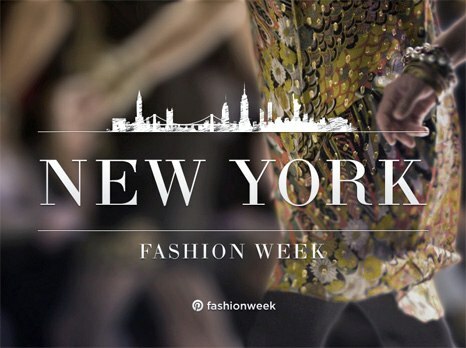 It’s the fashion industry’s time to take over New York City in its biannual fashion frenzied glory – it’s NYFW! Today kicks off the week-long event, with the sophisticated and modern Nicholas K debuting his F/W 2014 collection first at the premier Pavilion at the original NYFW spot the Lincoln Center (or better know as “the tents”). Highlights for the day will definitely be the ever-glam BCBGMAXAZRIA, artistic and unconventional Creatures of the Wind and the super sleek-chic Jay Godfrey collections. Other shows I’m eagerly anticipating for the week? Accessory queen Rebecca Minkoff, young gun sophisticate GEORGINE, print-crazy Clover Canyon, and of course, All-American NYFW staple Ralph Lauren, who presents his show twice this year. Over in Brooklyn, all time favourite New York designer Alexander Wang will present his F/W 2014 collection with a little less of a traditional FW approach, which will surely be made up for in style points and lust-worthy pieces. Apart from the garments and pieces from the collections, I ‘m ardently awaiting the spectacles that some designers present during their shows. Sure, some classic fashion shows still live on, with models sauntering down a runway to the beat of some thumping music, but many are using FW as another creative outlet that incorporates other aspects and truly builds their brand. Alternately, some just want to put on a show, have some fun, and throw a fashion party. Count me in! ← Esqido Mink Lashes: Lushest Must!